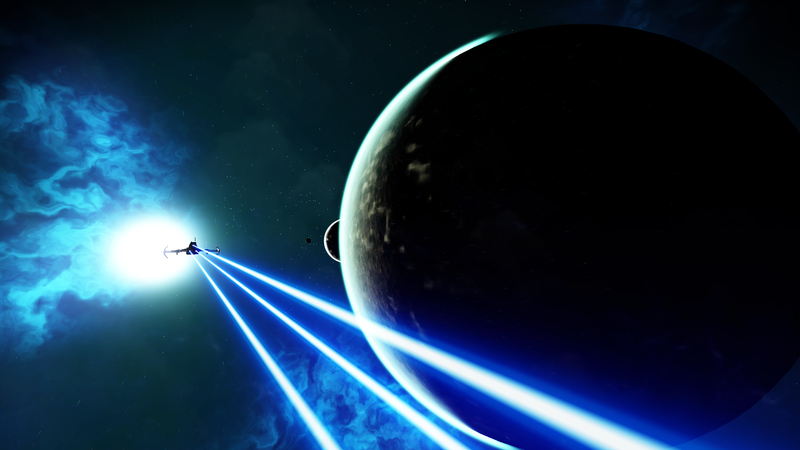 The No Man's Sky NEXT update is out, which has renewed interest in the game. People are talking about No Man's Sky again and the game footage is looking pretty good. This, combined with the fact that the game was recently on sale, means a lot of people will be trying it for the first time. 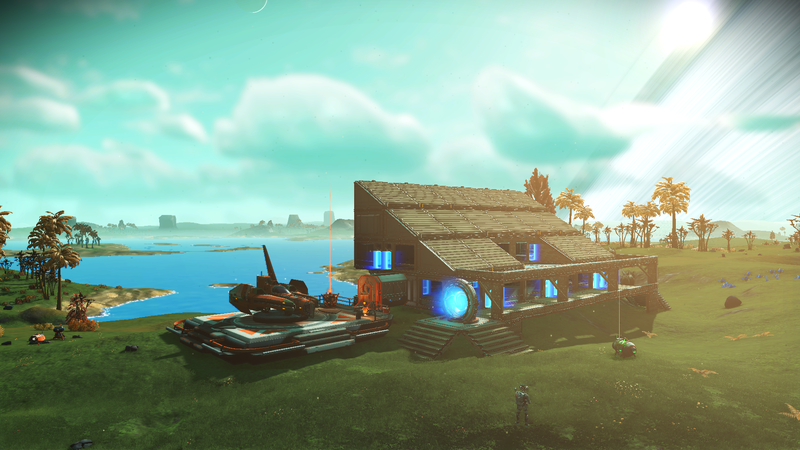 But before you blast off for strange new worlds, I should warn you that while No Man's Sky is "vastly improved," that doesn't mean it's been cured of its many ills. Specifically, the interface hasn't really changed. See, the interface in No Man's Sky is a fantastical journey of absurdist chaos. I know half the people out there dump on this game for the missing features at launch and the other half are celebrating the release of the NEXT update as the rehabilitation of this controversial and troubled game, but in the confusion we've overlooked the fact that the inputs are unconventional to the point of being surreal. The interface for No Man's Sky is a crazy funhouse of random behavior that will make you question your sanity. Even if you've never played the game, I'm sure you've seen the trailers. You'd probably assume this is an immersive game about chasing the horizon. Land on new worlds, see what they're like, and then blast off to the next one. And yes, that is part of the game. But that's not the core. The core of No Man's Sky is about filling bars. You have seven bars to fill: Your life support systems, your hazard protection systems, the launch engine for your ship, your interplanetary drive, your interstellar drive, your mining laser, and your tunneling tool. On top of that is a collection of optional weapons and shields with their own sources of power and their own bars to fill. Imagine a version of Minecraft where you have to keep feeding cobblestone into your shoes to power your walking around, dirt into your pickaxe to fuel your digging, and sand into another system to enable your ability to place blocks. It wouldn't be a challenge because the resources are common and free, but it would keep you very busy opening up your inventory once every minute or so to shove fuel into things. That's the No Man's Sky experience. Fill bars so you can keep collecting resources to fill bars. If this sounds like your kind of game, then congratulations you crazy masochist. Most video games have a couple of buttons they use for positive and negative inputs. On an Xbox controller this maps to A for Yes / Forward / Do it / Open, and B for No / Go Back / Cancel / Close. The PlayStation and Nintendo consoles have their own versions of these buttons, but we're all familiar with the idea of the "Do" / "Don't Do" binary buttons. No Man's Sky is the same deal. To activate something, you just hold down the E key. Except sometimes you use the left mouse button. Well, sometimes it's actually F and not either of those other two, except for in the inventory sub-menu where it's actually X. Got it? Great. Likewise, you use the Escape key to cancel the current action or go back to the previous screen, except for the times when you have to use the right mouse button instead. Just remember that cancel / close is always one of these two buttons, except for the times when it's the middle mouse button for some reason. Look, it's simple: If you need to close something you need one of these three keys unless you're using the map, because you can't close the map with any of the close buttons mentioned above. No, in order to close the map, you must hit M again. You're probably going to be tempted to aim your mouse at things to left-click on them, because that's how mouse-based interfaces work. But No Man's Sky is too clever to be constrained by your pedestrian decades-old interface conventions. Instead, you use the mouse to aim at something and then press the E key to bring up a context menu. No, don't try to bring up the context menu with right mouse button. That closes the window, remember? Why would the designer make it so that a typical menu-opening button instead performs a menu-closing action? I don't know. Perhaps the answer is hidden at the center of the galaxy. Is this too confusing for you? Sorry. Let's do something simple and use the refinery, which is functionally equivalent to the furnace in Minecraft: You put in fuel and raw materials and you get out refined materials. In Minecraft you can do this via click-and-drag, or you can use any of the shortcut keys. Don't worry, No Man's Sky isn't going to bore you with anything so intuitive and straightforward. Instead, each of those three boxes has a different behavior. Left-click on the fuel slot, and you'll get a right-click style context menu listing the available fuels, although from here you can't see how much you have or which container you'll be drawing from. Then left-click on the input slot to bring up a pointless menu with only one item, which is to hit X to bring up another menu that will list the possible input materials without any clue as to how much of each material you have. Then you left-click on the output slot and get a context menu; then you use the arrow keys to choose where you want to send the finished materials, and then hit X to make it happen. You can hold down the E key to start the machine, but none of the established back/cancel buttons will stop it. You can unload the input/output slots using the left mouse button, but the fuel can't be unloaded except to exit the machine and pack it away using the middle mouse button. Got it? No? Well git gud, scrub. Do you want to sort your inventory grid to place similar items next to each other? The game lets you pick up items with the mouse and drag them around, which might trick you into thinking you can swap items like in Minecraft. You fool! If you want to swap the positions for two items then move A into a free slot, put B where A was, and then put A where B was. Oh, you're out of free slots? Sorry. Just move one of the items to a different container or section of inventory. 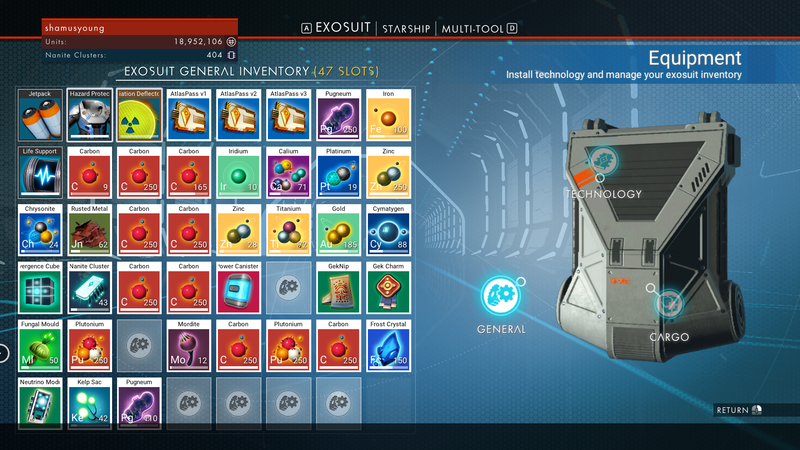 The No Man's Sky inventory is divided into five pages and each page has two or three subsections with different item restrictions and stack sizes and no I'm not kidding. Did you click on something and nothing happened? Try holding down the mouse button. (Or E, or middle mouse button, depending on what mood the UI designer was in when they made this bit of the interface.) See, unlike other games where you can push buttons to make things happen, No Man's Sky has you hold down buttons for a full second before the game responds. Sometimes this acts as a sort of confirmation to save you from destructive misclicks, but it gets applied to non-destructive actions like opening a storage container. In fact, when you try to quit the game you'll get a yes/no dialog asking if you're sure you want to quit, and it even makes you hold down the button to activate "yes" for that. It essentially makes you confirm the confirmation dialog you're already confirming. On the discovery screen you can use the W/S keys to scroll up and down the list of visited planets, but don't try using them to scroll through the right-hand list of discovered animals. There are scrollbar buttons for that, which you can click with the mouse, that operate like a vertical scrollbar but are placed horizontally beside each other because confusion is fun. W and S work as expected on the milestones and log screens, but then they don't do anything on the options menu, which is suddenly mouse-only. When you're on foot, you have two different quick menus you can bring up. Z brings up a build menu and X brings up a menu of various actions. By some bizzare oversight, both menus manage to use the same keys for scrolling through the available options. Perhaps this is to lull you into expecting consistency so you can again be baffled when the first menu uses left-click to select and the second uses F.
To weapon-switch, just press G. That doesn't bring up a weapon wheel that slows slows/pauses time in other games, but it does let you cycle through all of your equipped weapons. Did you pass up the weapon you wanted in the heat of battle? Oops! Just run through the list again and try not to overshoot this time. No there's no button to step through them in the opposite direction and no you can't bind specific keys to specific weapons for one-step access. Making weapons available with one key press would mean you don't need to memorize the exact ordering of the weapons, and that's challenging! Dark Souls is challenging, and Dark Souls is a good game, so therefore this is a good feature. Or rather lack of feature. Enjoy! Snark and jokes aside, this really is a strange interface for any game, particularly something so focused on exploration. You might think this is just the result of a bad PC port and it'll all make sense if you're using a controller, but that's not the case. I tried using a controller, and it still behaves like a mouse-based interface where you pilot the mouse cursor around the screen with the thumbstick. Ew. Is this the worst interface I've ever used? Not really. The thing is, the really bad interfaces I can think of (the original System Shock is a good example of a terrible interface in a great game) come from '90s PC games, back when developers were still inventing the conventions we take for granted today. 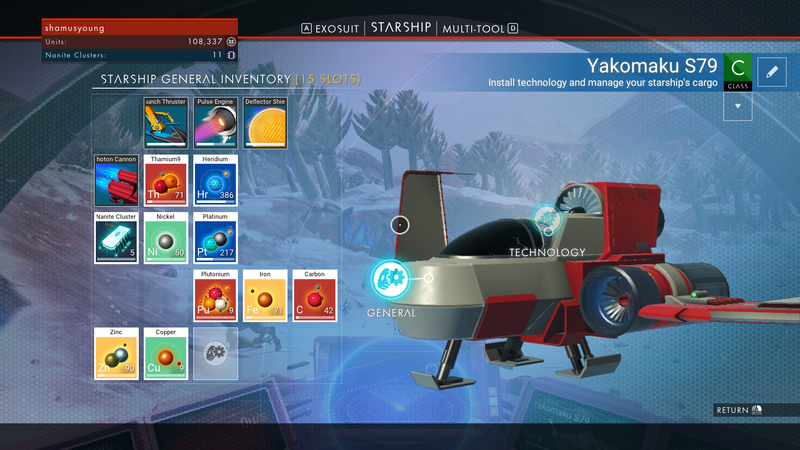 No Man's Sky is certainly the worst interface I've seen in a modern game. It's like it was made by someone who hasn't played a video game since 1995. Does it ruin the game? Not really. It's annoying in a way you can eventually get used to. It's just strange that after two years of continued development, the interface is still so relentlessly awkward.